Mother’s Day is less than one month away and HoMA’s ready to help you give her a savory and soulful experience. 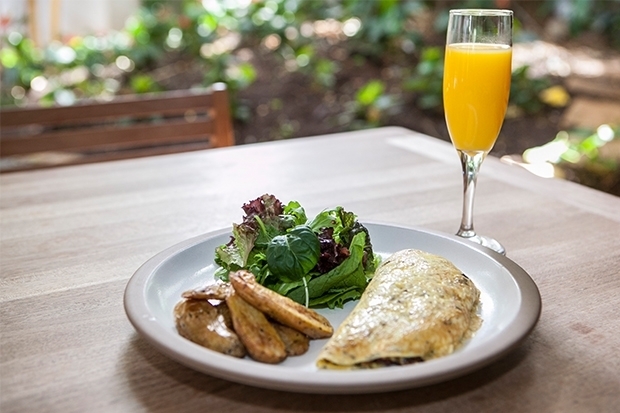 Both cafés are serving special brunch menus from 11am to 1:30pm. Reservations are required. Don’t wait—both cafés were fully booked in the first week of May last year! See the full menu for the Honolulu Museum of Art Café, prepared by chef Jacob Silver. Call 532-8734. Go here for the Spalding House Café prix fixe menu, prepared by chef Susan Lai Hipp. Call 237-5225. The Museum Shop helps make mom’s day special with a 10 percent discount for guests, and Supporting-level members and above get an additional 10 percent off their regular member discount. Be on the look out for exclusive items like jewelry by Rare Rabbit, Michal Taharlev and Spanish designer Claudia Fajardo, and ceramics by Tricia Beaman. Check back next week for more on these shop offerings. All Spalding House Café patrons on Mother’s Day will receive a 10 to 30 percent discount in the Spalding House Shop. Guests receive a 10 percent discount in the Spalding House Shop, and Supporting-level members and above get an additional 10 percent off their regular member discount. See HoMA’s spring lineup of exhibitions featuring locally and internationally acclaimed artists. Artists of Hawai‘i 2017: Immerse Mom in full-room installations by four Hawai‘i artists. Shahzia Sikander: Parallax: World-renowned Pakistani artist Shahzia Sikander’s mind-blowing video installation will transport Mom to the troubled, beautiful heart of the Arab world. Shahzia Sikander (American, born Pakistan, 1969) ‘Parallax,’ 2013. Arts of Hawai‘i gallery: Take Mom up the stairs in Luce Pavilion to the newly reinstalled Holt Gallery to see Arts of Hawai‘i curator Healoha Johnston’s fresh, dynamic presentation of island art—as well as Christopher Cole: The Global South and Camouflage Rhythms: Artwork by Juliette May Fraser.